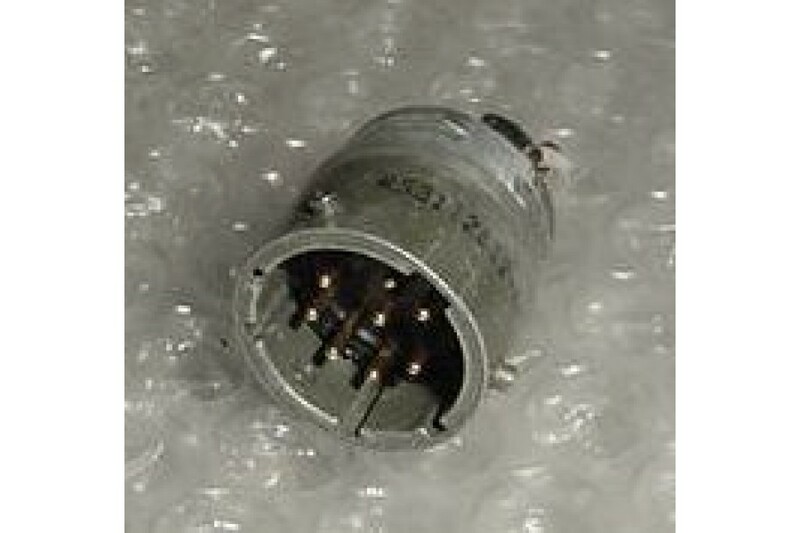 Aircraft Avionics Cannon Plug Receptacle. P/N MS3112E12-8P. Aircraft Avionics Cannon Plug Receptacle. P/N MS3112E12-8P. Alternate P/Ns 045523-0003, 0921-432, 2660745-1, 379447-3, 8014-1, 851-02E12-8P-50, KPT02E12-8P, MS3112E12-8P, PT02E-12-8P, PT02E12-8P. NSN: 5935-00-883-1977. It is used, in good condition.